I'm back in Umeå now after an awesome week in Åre. Blue bird and good skiing every day. 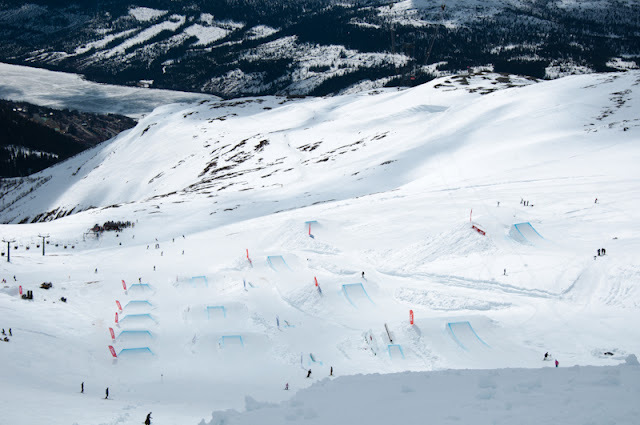 This year they had enough snow to build the Freeride park at the top of the mountain. I took a couple of laps each day through the park, but spent most of the time freeriding around the mountain. 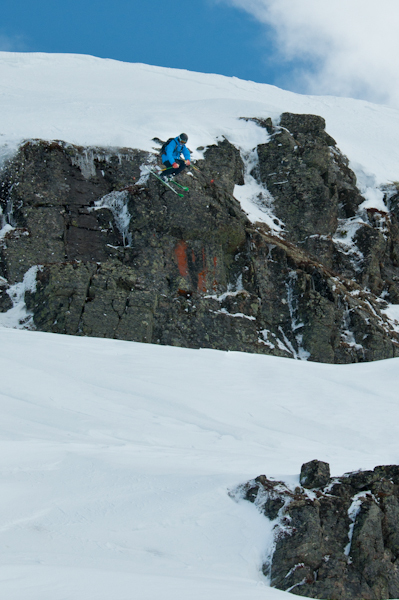 Lots of snow and fun cliffs. 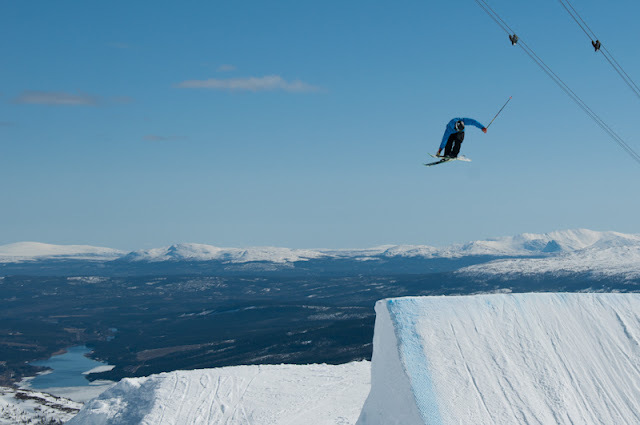 Next up for me is the Scandinavian Big Mountain Championships in Riksgränsen. Last comp for the season but also spring skiing with lots of good friends. Hope to see you guys there!